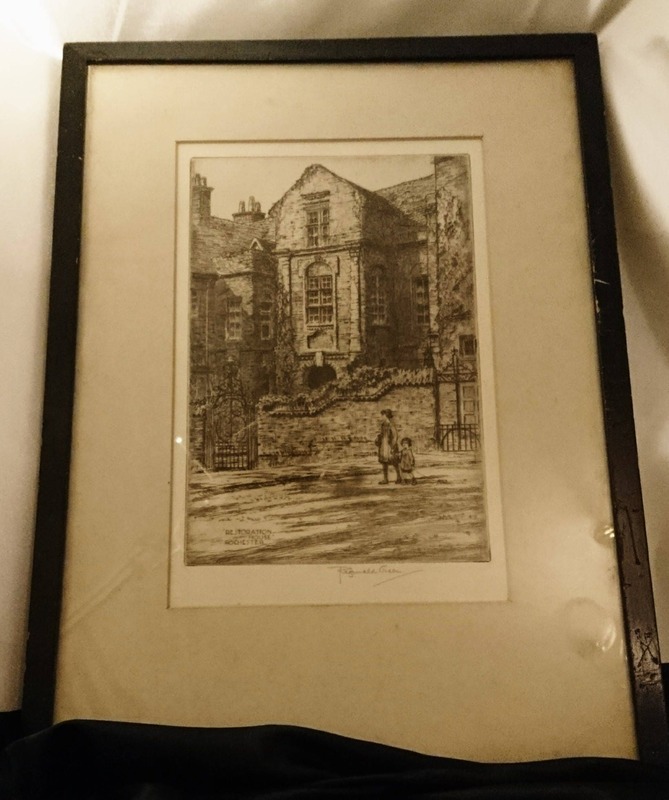 A lovely piece of fine antique art, an Etching by Reginald Green featuring a street scene, the picture is entitled Restoration House, Rochester. It also features a woman walking with a child. 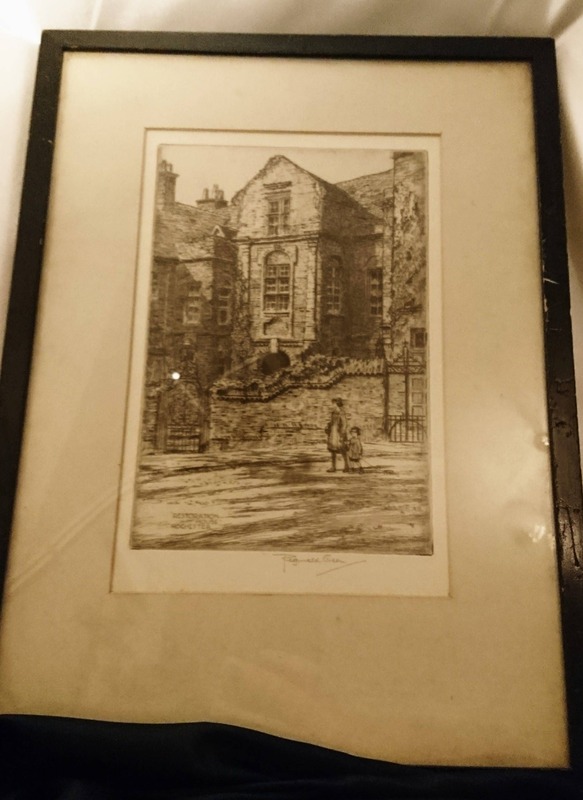 The print is signed in pencil by the artist who signed his work mostly using pencil. 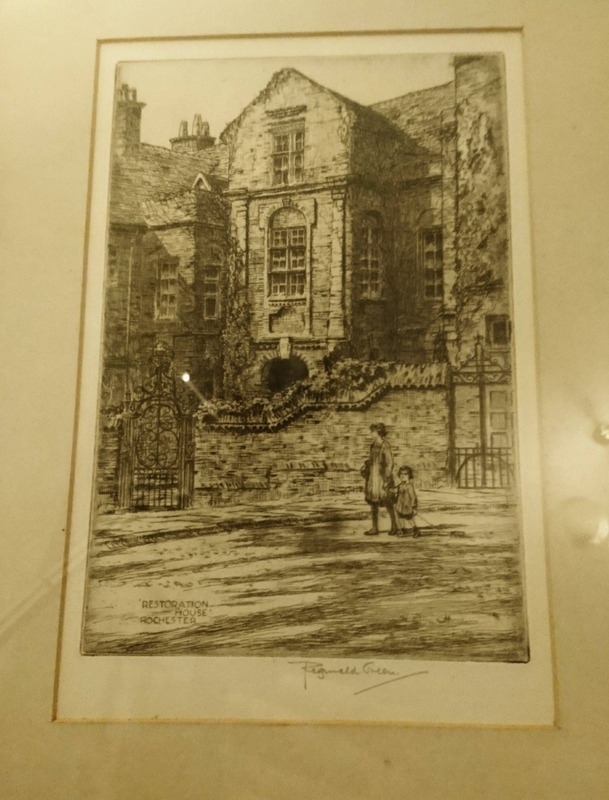 Reginald Green was famed for his etchings and fine arts, many of his pieces have been the subject of fine art exhibitions and his works are very collectable. Born in England in 1884 and died in 1971. 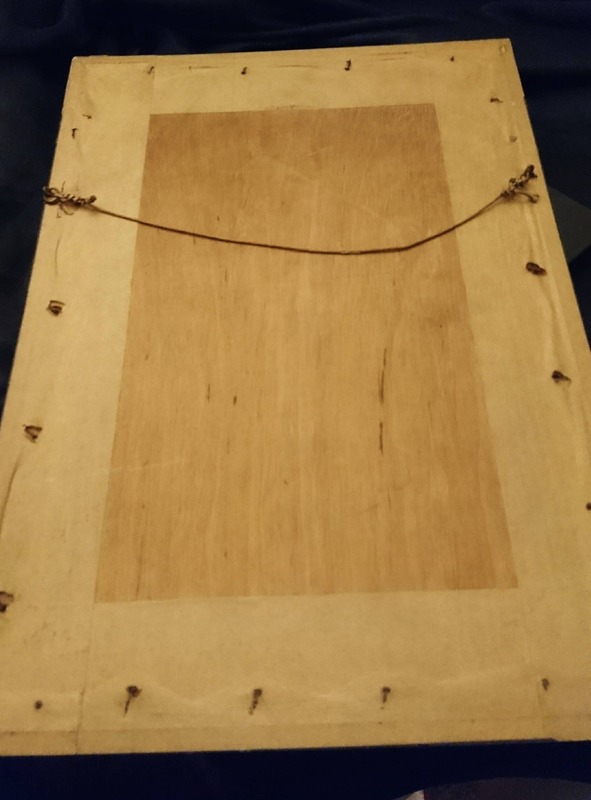 The glass is free from chips or cracks and the frame is a black lacquered wood, can be sent without the frames, please drop us a message if this is something you would like to discuss.